Craig R. Link, AKA “Linker” died Friday, April 5, 2019 at United Hospital in St. Paul, MN. He was born September 6, 1967. 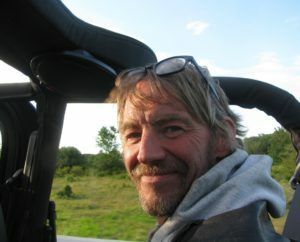 He loved riding his Harley, whom he named “Snarley” and was a huge fan of the Green Bay Packers. One of his favorite snacks was cheese curds. He was a true Wisconsinite. Craig was immensely proud of his son, Colton and valued his hockey and Harley friends. He is survived by his parents, Ken and Harriet; brother, Cody (Kelly); son, Colton; ex-wife, Sara; as well as numerous aunts, uncles, cousins and best friends. All of whom loved him immensely and will miss him terribly. Craig left us way to soon. The family would like to thank the physicians and nursing staff who cared for him at Baldwin and United Hospitals. They did a wonderful job and treated Craig, family and visitors with such great compassion. A remembrance gathering will be held Saturday, April 20, 2019 from 3-5 pm at Bakken-Young Funeral & Cremation Service (805 E Division St.) in River Falls with prayers at 4:45 pm. A reception will follow from 5-8 pm at the American Legion Post #121 (701 N Main St.) in River Falls. In lieu of flowers, memorials are preferred to Craig’s family. Arrangements are with Bakken-Young Funeral & Cremation Services.